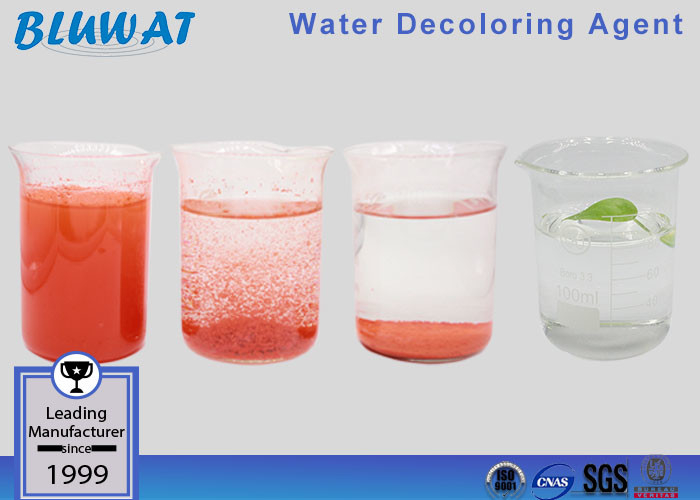 BWD-01 water decoloring agent was published in 90's, and had been developed by BLUWAT with 10 years, the quality is very stable, it is a new type of high performance decolorizing flocculant, high perfromance in de-coloring, flocculating, CODcr decreasing and other applications, used to remove color of waste water generated by textiles process houses and dyes industries and other fields. 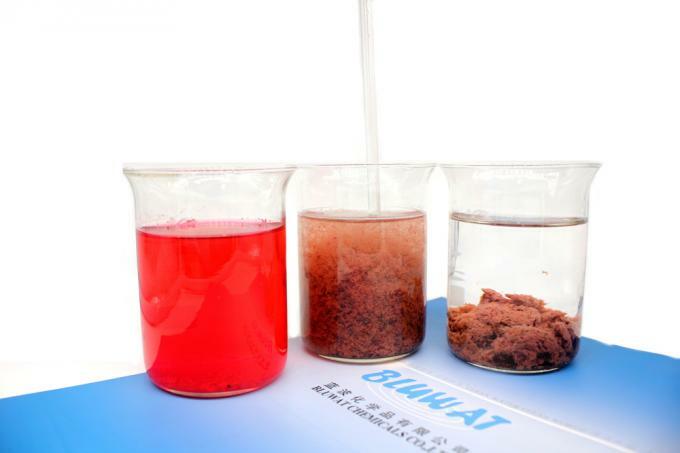 Reactive dye, Acid dye, Disperse dye, Direct dye, Sulphur dye, Vat dye etc..(water soluble and insoluble dyestuffs). Published in 90's, and developed more than 10 years by Bluwat Chemicals. The quality is very stable, will not change to be a layered when temperature change. High efficient of color removal treatment for textile dyeing & printing mills, dyestuffs & pigment mills, ink & paper making mills wastewater. In paper mills, it is used as retention agent used in the paper and pulp processing, as Kemira K97.